At Hunters Estate Agents and Letting Agents Easton, Branch Manager Tom Dowdeswell and his team of Beverley Miller, responsible for sales progression, Alaska Porter, Esme Brown, Avais Ahmed, our sales team and Gareth Hunt, pride themselves on an efficient, friendly service replete with local knowledge and a smile! The eclectic office in the heart of Easton, on St Marks Road, was first established as Besley Hill Estate Agents, in the late 1990s and has always strived to employ local people within the local environs, practising the essentials that we preach. Wherever possible we prioritise the local first time buyer and the owner occupier as an important way to maintain the strength and integrity of the community and to build a steady core of repeat custom, building the business for years to come. Hunters Estate Agents and Letting Agents Easton provide a broad range of services to streamline the buying and selling process. These include professional photography, 3D and 2D floorplans, EPC’s, concise and original property descriptions, recommended surveyors, mortgage brokers and solicitors and a dedicated service to ensure a smooth transaction from the day of marketing to the completion of contracts. 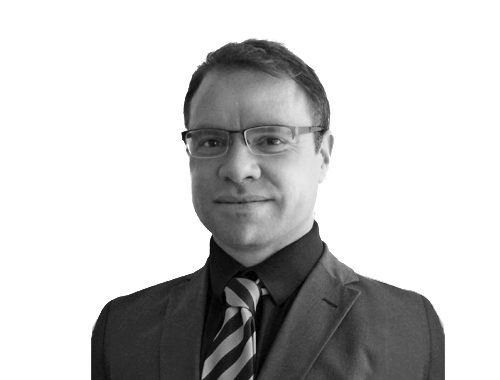 If you are considering selling, buying or require professional advice, please pop into the office or give Hunters Easton a call on: 0117 952 2939. Click to view preferred suppliers for Hunters Easton. VAT Reg No: 242 1891 17 | Registered No: 10160648 | Registered Office: 72 St Mark's Road, Easton, Bristol, United Kingdom, BS5 6JH. A Hunters franchise owned and operated under licence by Gareth Lloyd Limited. Victorian terraced homes of brick and stone predominate the skyline, in this area of East Bristol, alongside pockets of 1960’s town houses. In terms of new housing, the highly anticipated development of the site of the former Elizabeth Shaw chocolate factory, opposite Greenbank Cemetery and alongside The Bristol & Bath Railway Path (for pedestrians and cyclists) draws closer to fruition. The residents to whom we serve, which also includes the Greenbank, Eastville and Bs2 environs of Montpellier, St. Pauls, St. Werburghs and St. Agnes, are a culturally, ethnically diverse, and bohemian collective. The sense of community is strong and wide ranging, with a focus on all things alternative, artistic and ethical. Our office is set on St Mark's Road amongst the alternative local shops, which include a number specialising in organic and ethnic foods. The ever popular Bristol Sweet Mart, a grocer and delicatessen, the East Bristol Bakery, and the hip, café delicatessen Number 12 is based here too. To the west, Stapleton Road's retailers include several grocers, with Jenkins the butchers, Tovey's fish mongers and Coco's Desserts among hairdressers and stores selling clothes and computer services. Spoilt for choice, Easton is a popular culinary haunt with takeaways of all the expected persuasions. Our ever popular neighbours on St Mark's Road, La Casbah and Eastern Taste restaurants, amongst others, serve classic Indian and Moroccan fare at reasonable prices. Logistically we are conveniently served by rail, (the Severn beach line), Stapleton Road train station, adjoining St. Marks Road. With the Bristol & Bath Railway Path (for pedestrians and cyclists) meandering through, close to bus routes into and out of the City, and with free on street parking, its easy to find us.